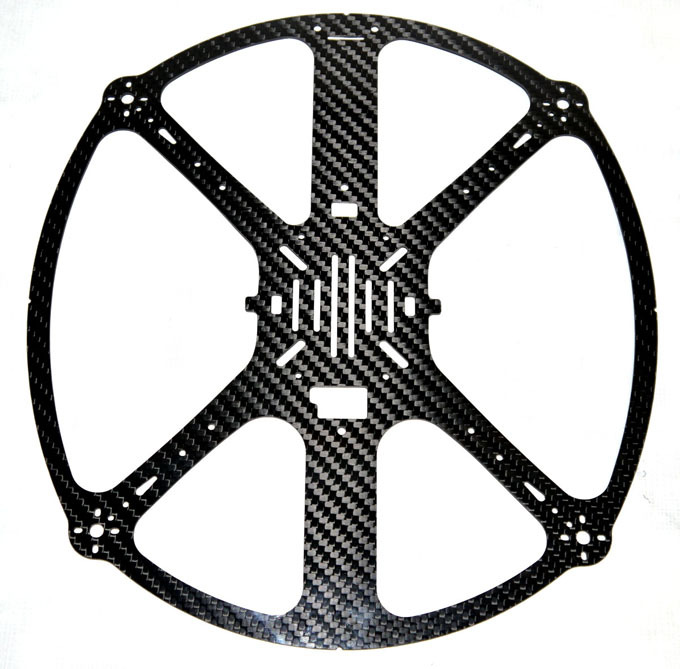 The Flight Ring 242, a single piece carbon fiber frame designed for speed and efficiency for acrobatic flight and light FPV. 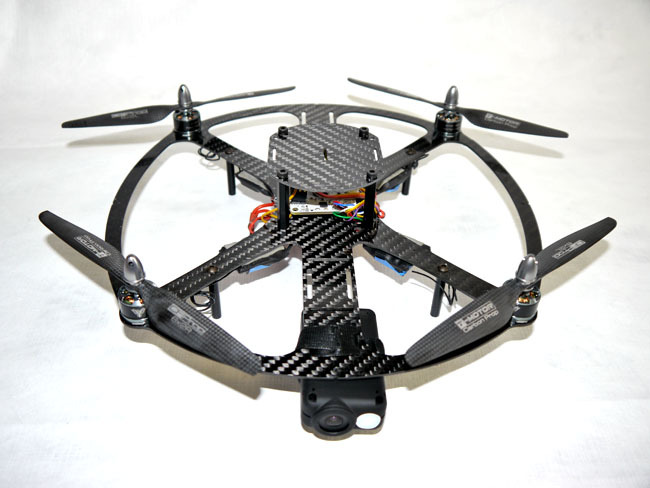 The single piece frame design has many benefits for both the build and flight. No frame assembly required! 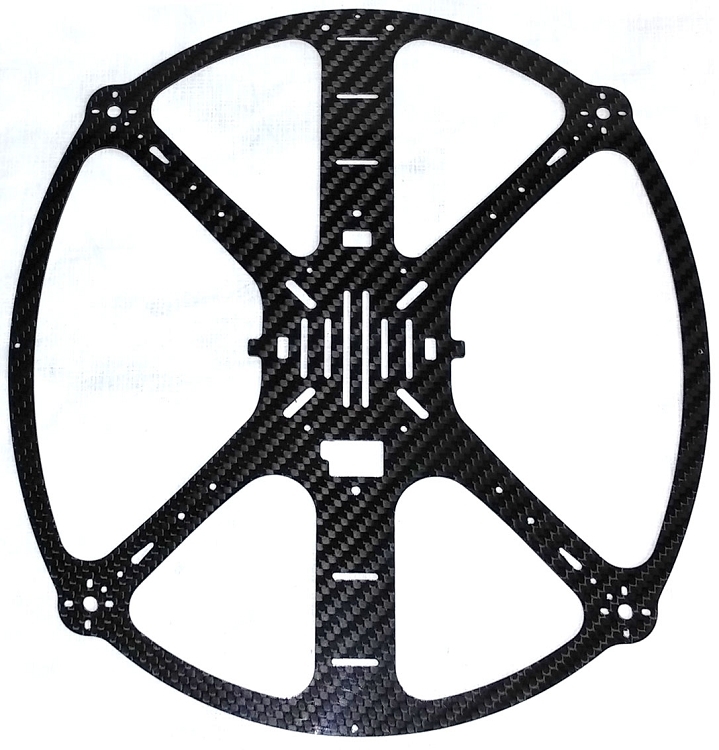 CNC cut from 1.5mm carbon fiber. We have designed and test flown to ensure that this design is easy to build, easy to fly, durable, and most importantly, fun to fly for the novice and experienced. The ring design in the event of a crash the frame will have a tendency to roll out the crash instead of spearing into the ground and snapping an arm or damaging a motor. We incorporated a wide center section that runs from the front to the rear of the frame allowing you to mount just about anything that you want to carry. With the center section running front to rear you can hard mount your GoPro or other FPV camera up front without props in the shot. 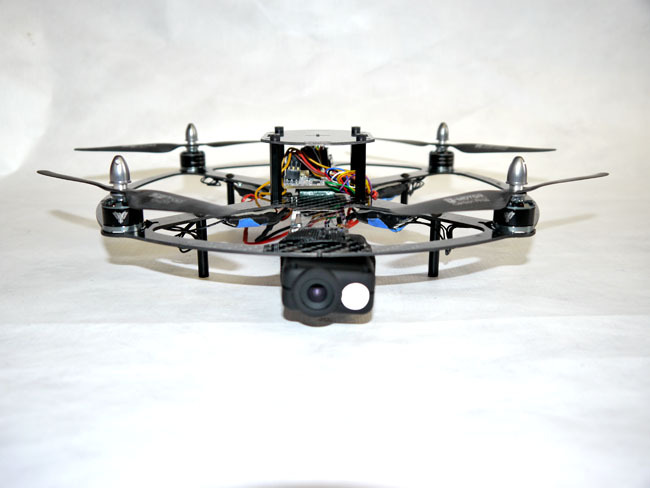 Your video downlink can mount onto the rear away from your electronics and mount your battery in-between to balance your center of gravity. Also available for purchase is an optional accessory mounting plate. It will attach to the frame with a few included standoffs and screws allowing you to mount additional electronics or cover the FC system and radio system giving a finished, classy look. Weighing in at less than 47 grams it is lightest frame PFG has to offer. 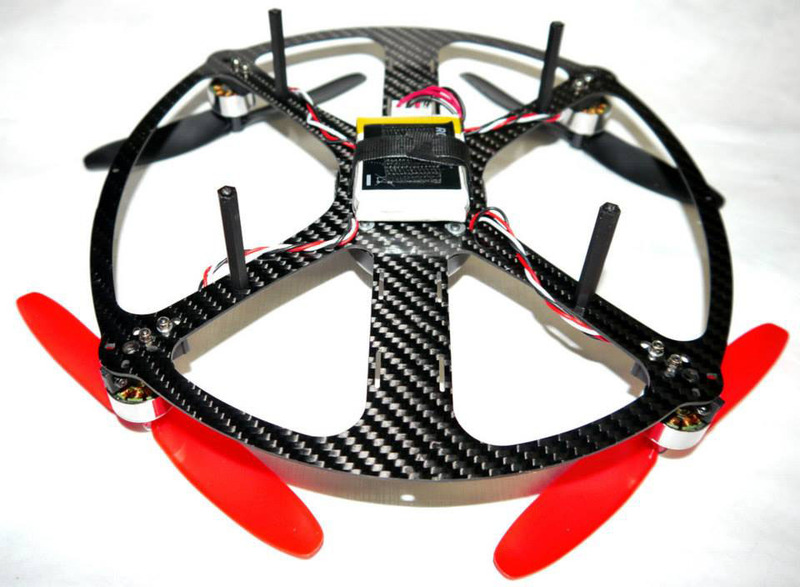 The single piece 1.5mm thin frame minimizes the airframes wind resistance providing high efficiency in flight. 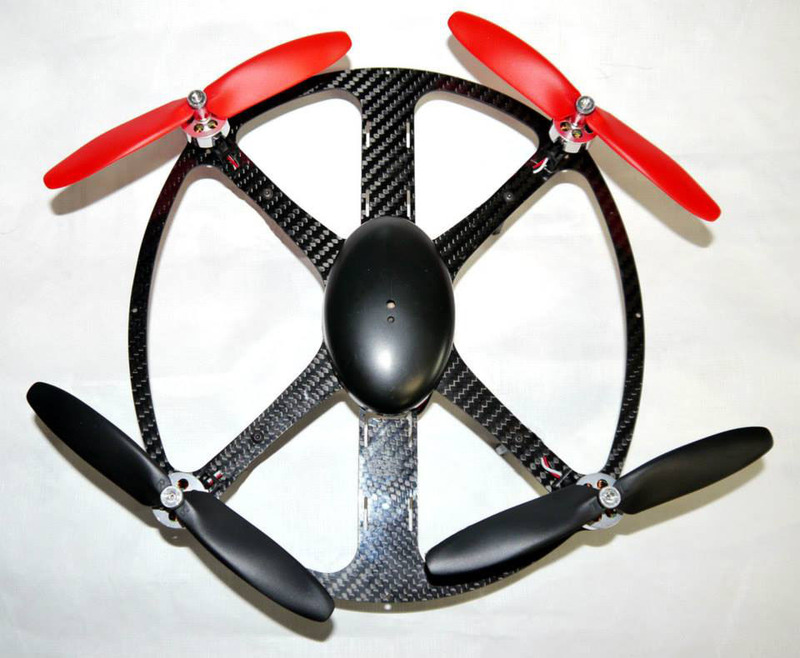 The choice of carbon fiber as the frame material was an easy one; carbon fiber is lighter, thinner and more rigid than glass fiber alternatives such as G10/FR4. 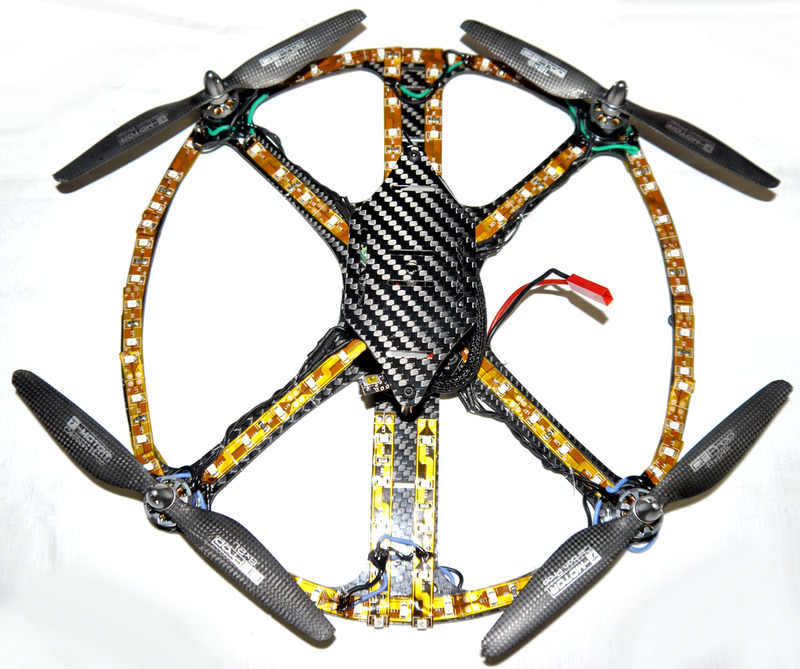 The 242 Xtreme Flight Ring frame conversion will take about two hours and require basic hobby skills. 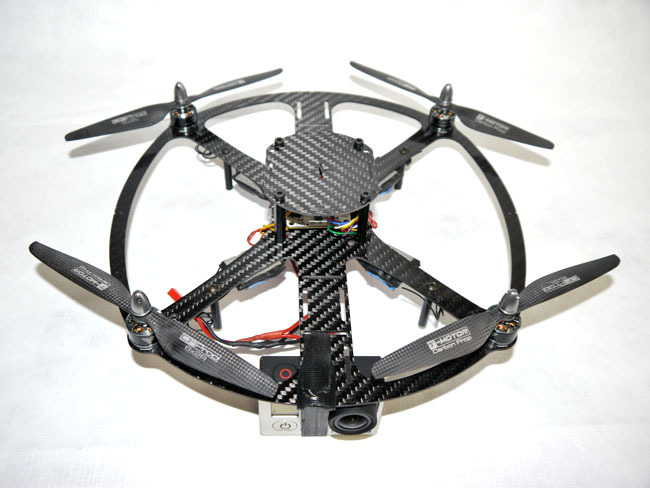 The frame will work with both the stock brushless Xtreme motors with slight modification to the motor mounts or upgrade to the RcTiger MT1306-20 motors and Rc Tiger Motor 6x2 T-Motor Carbon Fiber Props for a huge gain in performance.